Your home’s plumbing can stop working for any number of reasons. Your home’s plumbing can stop working for any number of reasons. Sometimes, you’ve done something that ruined your drains without even knowing it. But most of the time when something goes wrong, it’s nothing you did wrong, but something else entirely. These causes are tree roots, kitchen grease, septic problems, and aging water heaters. Yes, that’s right. Tree roots present a danger to your home’s plumbing. Even though most of the trees you see in your yard or on your street have yet to wake up, that doesn’t mean their roots aren’t active. Given enough time, roots can invade anything, even the foundations of homes and businesses. The solution to this is a machine called a rooter, which will go in and remove the presence of roots. Believe it or not, kitchen grease can gum up the works too. If you’ve just finished cooking dinner and feel a bit nauseous at the thought of all that grease, just wait until it ends up in your plumbing. There also some things that should never go down your toilet, because these will cause all sorts of septic problems. Bleach and paint are two common household items that you should never dispose of through your septic tank. You should also probably not try to dispose of trash this way, either. Likewise, even if you generate a lot of trash, it should go outside. And when it goes outside, it should go outside by traditional means. In other words: take out your trash the old-fashioned way and don’t put garbage down your pipes. You might not expect your water heaters to cause any problems. Still, depending on how old they are, you might want to get them repaired or replaced. 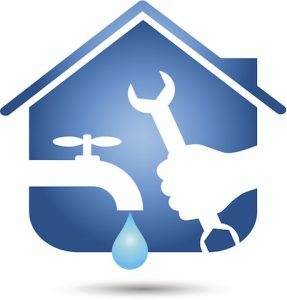 The only way to tell is to conduct regular inspections, and for that you should call the experts at Master Plumbing to come. This entry was posted on Friday, March 23rd, 2018 at 3:22 pm. Both comments and pings are currently closed.